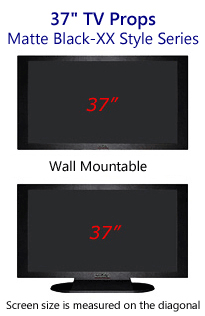 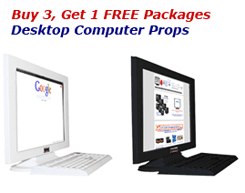 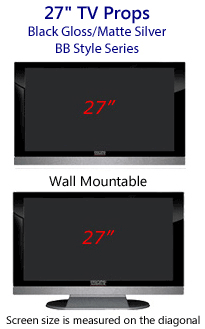 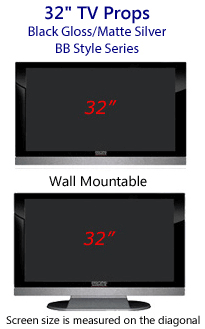 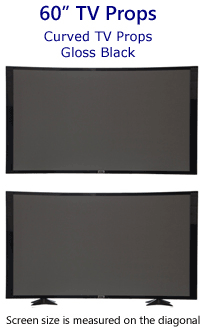 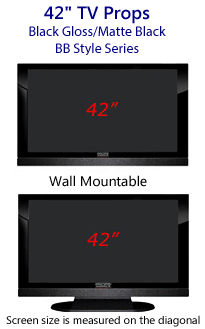 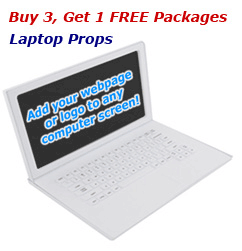 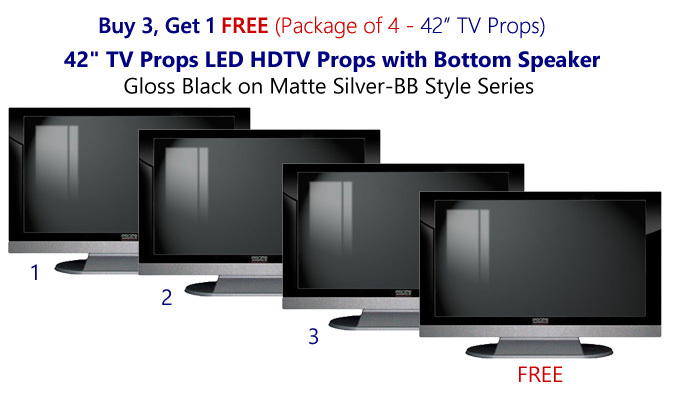 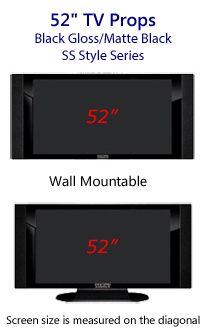 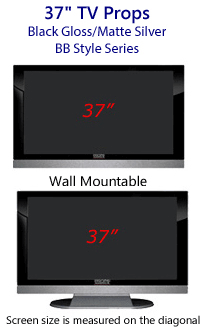 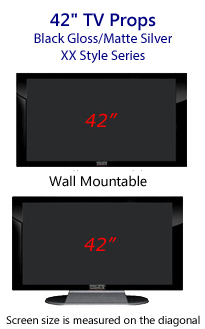 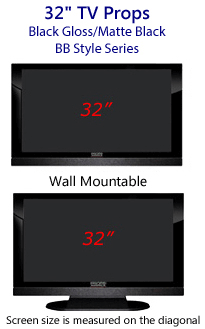 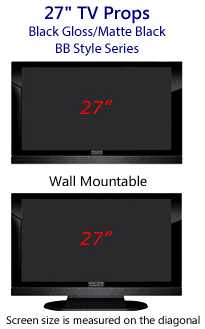 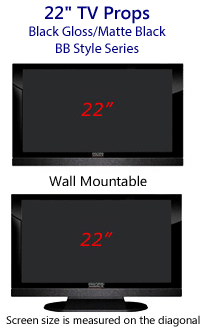 4 Pack of 42 Inch HD Prop TVs with Bottom Speaker in Black Gloss on Matte Silver. Screen Image #000 Off-Position Screen Included. 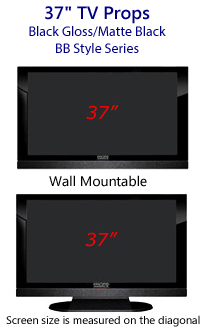 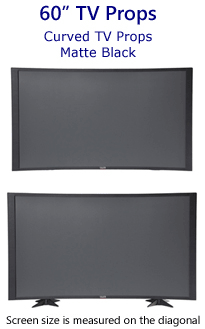 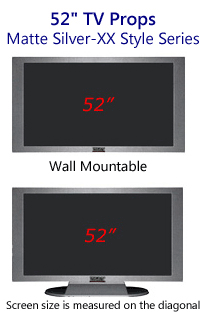 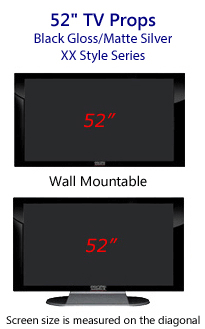 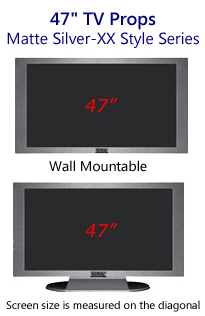 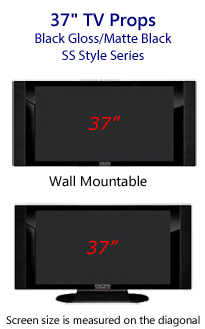 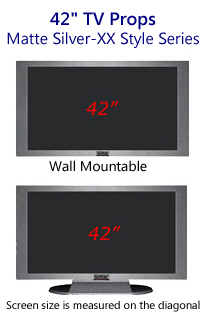 These 42" faux HD Prop TVs have a black high-gloss finished frame bezel on the front with a silver matte (non-shiny) finish bottom speaker panel. 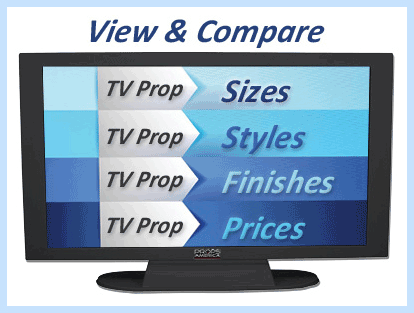 The body, back & sides of this faux Prop TV has a silver matte finish for easy handling.